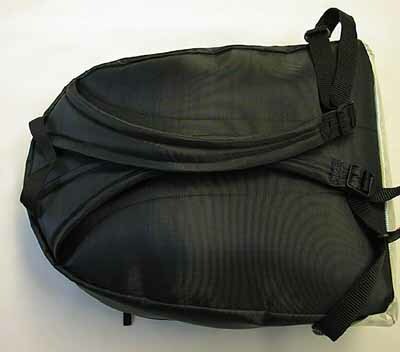 This is a daypack - an everything-pack, really - commissioned for Rebecca. It's intended to be big enough (and small enough) to take everywhere. It's 340mm wide, 430mm high, and 170mm deep at the base. That makes it a bit wider & a bit flatter than is usual, which provides more volume with less bulk. The fabric is a tough nylon-membrane-nylon sandwich. That's waterproof, though the zips are not. 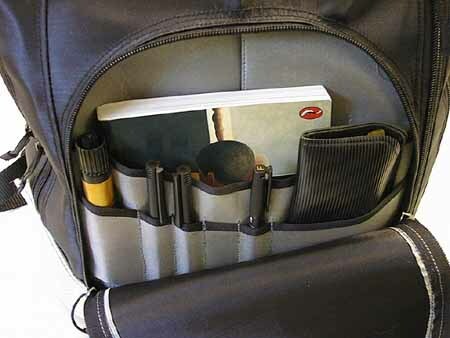 The organiser pocket is based on my all-time favourite Eddie Bauer design. There's space for little stuff - Swiss Army knife, keys - right at the front, then a divider with pockets for pens & so on, then a back compartment with an expanding gusset. That will take a paperback or three, chequebooks, airline tickets, a compact camera. Even, in extremis, all of the above. 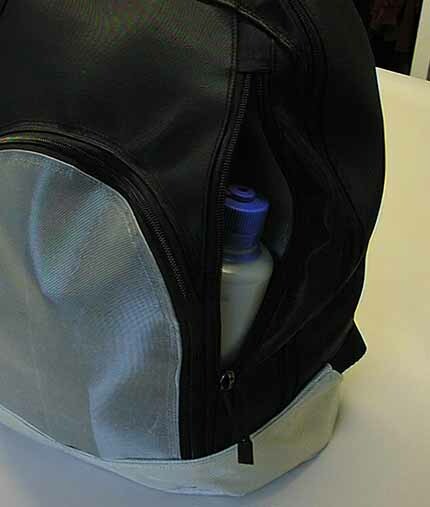 The bottle pocket will accomodate a litre water bottle or a small thermos. It uses volume inside the main body of the pack, which helps to stop the bottle bobbling about when the pack is half full. The shoulder straps are curved & well-padded for comfort. 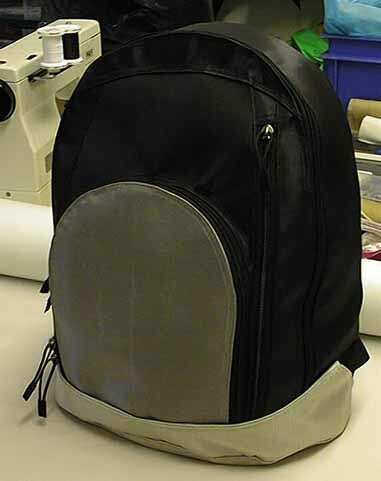 The back has a foam pad sewn in, to protect the wearer from their load. 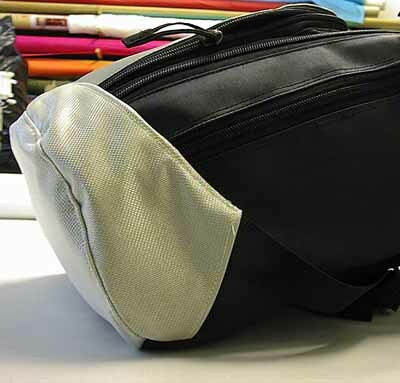 The major seams on the bag are triple-stitched and bound. There's a double bottom, too, for a little extra durability. This cradle attachment, to couple the bottom of the strap to the base of the pack, allows the body of a part-filled pack to be compressed towards the wearer. The load is held a little better, and the wearer is less likely to knock down innocent bystanders when turning round.